Printing & Print Design Services for Manchester, New Hampshire: Business Cards, Brochures, Post Cards and Envelopes for the Manchester, NH area, including South Hooksett, Pinardville, Merrimack, Bedford and Goffstown, New Hampshire. If you are looking for design services or brand development in the Manchester, NH area, including South Hooksett, Pinardville, Merrimack, Bedford and Goffstown, New Hampshire, then you came to the right place. Allen & Goel Marketing is not just a distributor of print materials, we are a full service marketing company. All of our in-house designers are encouraged to attend workshops and seminars to keep their designs fresh and effective. Allen & Goel Marketing Company understands that every customer is unique and every client's business needs are unique. With your ideas in mind, we will develop your logo, image and brand. Your brand is the personality and identity of your business. It's what makes your business unique along with the characteristics that differentiate it from your competitors. 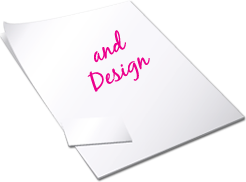 Brand elements include your logo, PMS colors, typeface, taglines and other design elements. After your brand elements are established, we will carry your brand and identity through to your print materials, website, promotional products, etc. Your logo, when viewed, should reflect your company's culture, philosophy and standards. It also helps differentiate you from your competition. The use of your logo in your business cards, letterheads, envelopes, signs, marketing collateral, promotional products and advertisements is important to help build customer recognition, loyalty and brand awareness. Whether you are starting a new business or looking to revamp your image, Allen & Goel Marketing will help you portray the true identity of your business through our professional logo design services.